Can a proud 400-year-old whaling tradition survive a tsunami of modern animal-rights activism and colliding forces of globalism vs. localism? A Whale of a Tale reveals the complex story behind the ongoing debate. 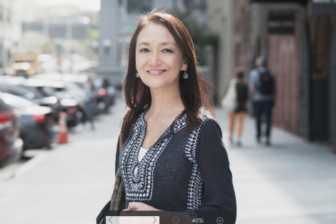 You can see the movie and take part in a question-and-answer session with the filmmaker, Megumi Sasaki, on Wednesday night, Dec. 5 at the Avon Theatre in Stamford. The event starts at 7:30 p.m. In 2010, Taiji, a sleepy fishing town in Japan, suddenly found itself in the worldwide media spotlight. The Cove, a documentary denouncing the town’s longstanding whale and dolphin hunting traditions, won an Academy Award and almost overnight, Taiji became the go-to destination and battleground for activists from around the world. Told through a wide range of characters including local fishermen, international activists and an American journalist (and long-time Japanese resident), A Whale of a Tale unearths a deep divide in eastern and western thought about nature and wildlife and cultural sensitivity in the face of global activism. The film is not rated. You can buy tickets at the box office or online here. “’This town of Taiji has been totally bullied by the international community but I made it clear to the fishermen that I’m not going to take sides,’ she says. ‘I’m not here to change minds, I’m not an activist, I’m a storyteller. I want people to think about new perspectives because the world is complicated, it’s not black and white. In 2008, filmmaker Megumi Sasaki directed and produced her first feature-length documentary Herb & Dorothy, about legendary New York art collectors Herb and Dorothy Vogel. The film went on to win top honors at many international film festivals and was released theatrically nationwide and as a part of PBS’s Independent Lens series. 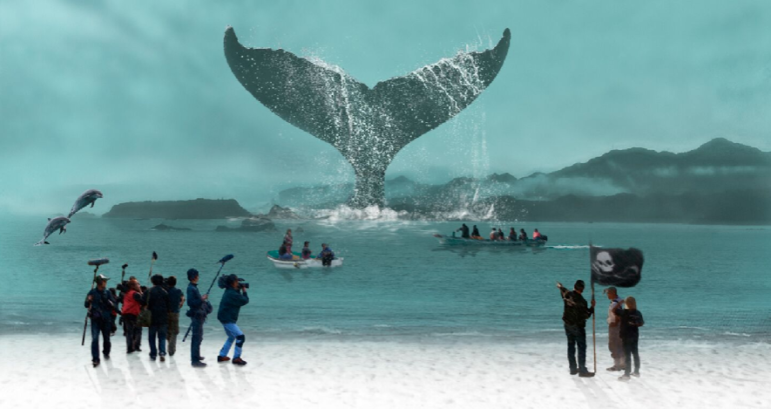 A Whale of a Tale, her third feature length documentary, had its world premiere at the Busan International Film Festival in South Korea and has won awards in many other festivals worldwide. In August 2017, Sasaki published her first book with the same title of the film in Japanese, Okujirasama, for which she was awarded the Science Journalist Award in 2018. Her book depicts the story of the film’s production and the in-depth historical and religious background information of the whaling controversy. Tickets go on sale at 10 a.m. Thursday, April 18 for an exclusive one-day-only presentation of Christopher Nolan’s “Dark Knight” trilogy on Saturday, May 11 on the giant IMAX screen of The Maritime Aquarium at Norwalk. The Maritime Aquarium will be one of only five theaters in the U.S. presenting this special engagement of the “Dark Knight” trilogy. Rydell High's most famous graduating class is going back to school (you could call it the 40th anniversary reunion). The highest-grossing musical of all time, Grease (1978), returns to the big screen as a sing-a-long at 7:30 p.m., Thursday, Aug.